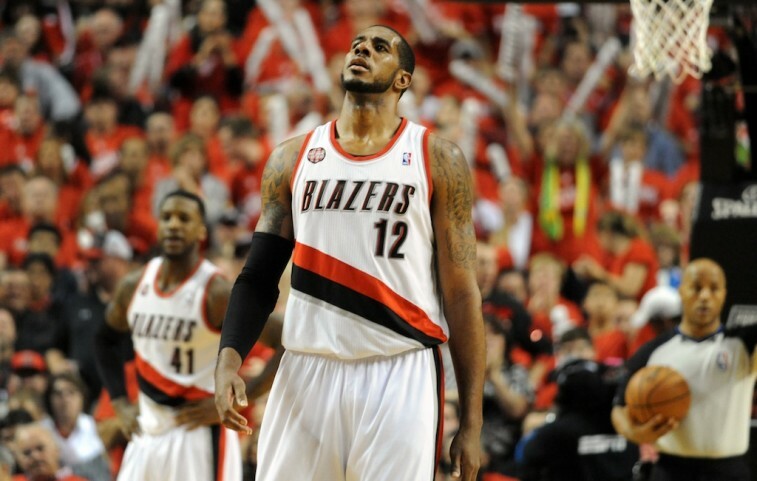 Would an NBA Playoff Exit Be the End of LaMarcus Aldridge in Portland? One of our favorite first-round series of the 2015 NBA Playoffs is the four-five seed matchup in the Western Conference between the Portland Trail Blazers and the Memphis Grizzlies. It’s not as if we have much skin in the game — we just believe there is something great about each of these two teams. But if we’re being completely honest, we have a soft spot for the Trail Blazers. First off, if you’ve never seen them play ball, you really should get on that. The team has a great balance of youthful players and a solid veteran presence. On top of that, they play hard. Against all odds and unfortunate injuries, they fight until the final whistle sounds. Unfortunately, it would seem that the adversity this team now faces is too much to overcome. The Grizzlies are strong and physical and much more talented than their fifth seed would suggest. They’ve overmatched the Trail Blazers on their way to a convincing 2-0 lead. It’s going to take a lot of heart for Portland to get back into this series — perhaps more than it can muster at this point. And that certainly scares us. Just not in the way you might think. It wouldn’t come as a surprise to see the Portland get bounced by this tough Memphis team, especially considering the Blazers’ lack of depth. So it’s not the end of the team’s run for the season that frightens us. It’s more about what could happen to this team as a whole. We absolutely love the dynamic duo of Damian Lillard and LaMarcus Aldridge; they run one of the smoothest pick and rolls in the NBA. It really is a joy to watch. But the latter becomes an unrestricted free agent this summer, and that’s why an early playoff exit scares us. What if this is the end? Over the course of his seven seasons in the NBA, Aldridge has evolved into perhaps the best power forward in the entire league. His ability to hit shots from the outside and finish at the rim is what makes him an extremely difficult player to defend. And his game is consistently getting better. He’s been to four straight All-Star Games, dating back to the 2011-2012 season, and we expect that streak to continue. Aldridge is just that good. With averages of 23.4 points and 10.2 rebounds this season, the dude is almost an automatic double-double every night. But what good would those numbers be if Portland can’t do anything in the playoffs? Last season was the first time in his career that Aldridge advanced past first round of the playoffs. At 29 years old, can the former Texas Longhorn continue to deal with coming up short? Granted, there is no team that can offer him more than the Portland Trail Blazers — more money and an extra guaranteed year. But Aldridge is expected be heavily pursed this offseason. Maybe winning could be more enticing than financial compensation. Most people assume the power forward wants to finish his career in Portland. And they’d be right. But there are reports circulating that he could be a lot more in play than you might think. We’d love nothing more than to see the Portland Trail Blazers keep their nucleus together. If they hadn’t encountered multiple setbacks this season, this team may have been one of the sleepers out West. But sometimes we have to play the cards we’re dealt. And Portland just doesn’t appear to have the goods right now. It really is a shame. An early playoff exit this time around may not affect anything this offseason. 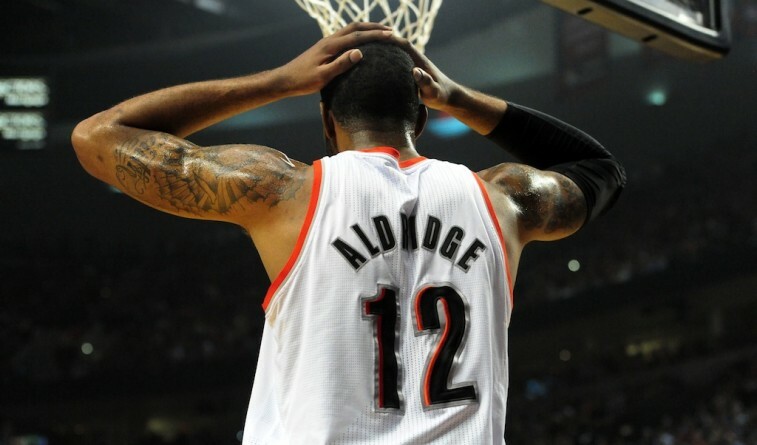 Perhaps Aldridge will remain a Trail Blazer for the rest of his playing does. But maybe, just maybe, teams like the San Antonio Spurs do have a chance. This 2014-2015 NBA season has been even more fun because of the parity in the Western Conference. Despite all that, Portland may still end up losing its first-round matchup. We just hope, for the team’s sake, it doesn’t affect its ability to compete in the future.